When Robert Altman made Secret Honor in 1984, he was a filmmaker in exile, a once-powerful iconoclast whose raging indifference to the demands of commerce first banished him to the edges of Hollywood, and then off the studio radar altogether. By the mid-’80s, Altman was teaching film at the University of Michigan, where he filmed Secret Honor, which was largely ignored at the time but has enjoyed a rich afterlife as one of the director’s overlooked masterpieces. 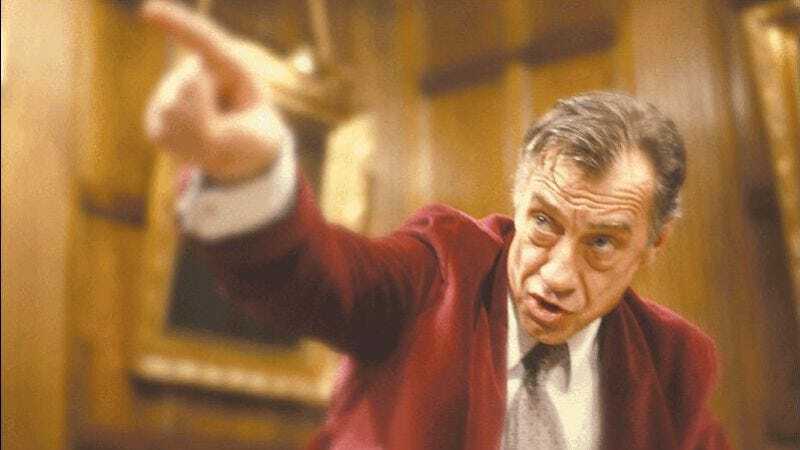 So there was a poetic synchronicity in this one-time Hollywood player adapting Donald Freed and Arnold Stone’s one-man play about a president in exile, in this case Richard Nixon, as indelibly played by the great Philip Baker Hall in a career-making role. Secret Honor takes the form of an alternately rage-filled, self-pitying, paranoid, and ultimately tragic monologue that finds Hall’s Nixon drunkenly recounting his past into a tape recorder—this president had a regrettable weakness for recording devices and committing things to posterity that may not be in his best interest—as he shadowboxes foes real, imagined, and internal. He rages against the moneyed elite that used him, then discarded him when he no longer suited their purposes, all while wallowing in drunken misery. Hall delivers a volcanic performance that gets far beyond the hammy caricature and sweat-soaked public image of the U.S.’ most ridiculed president to the dark, burning core of a shattered man trying to make sense of his life and his public fall from grace. Nixon fascinates and obsesses filmmakers like no president this side of Abraham Lincoln, but no depiction of his life has cut deeper than Altman’s angry yet empathetic exploration of the existential angst that plagued the ultimate bête noire of 1960s counterculture.